In today’s world boxing are having great significance, many countries giving the opportunity to the women boxer to come forward and write their name in a golden word. On the other side, common women are showing interest in working out with punching bags. Many fitness freak women have a great love for boxing as it burns much more calories within a few minutes of practice. Boxing practice contains aerobic as well as an anaerobic exercise in 7:3 ratio respectively. In this segment, we are going to discuss the pros and cons of the punching workout. Including boxing in our daily exercise routine, can benefit our body in various manners. It provides many physical benefits which channelize the whole body throughout the workout. Boxing is a game which provides relief to the soul and mind because it is an aggressive game and person use their proper energy to practice it and at last our mind boost with positivity. 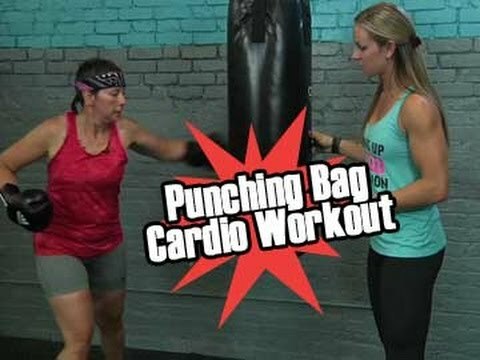 Let’s know about the pros and cons of punching bag workout. It helps to build a body healthy and fit. When we train our body by punching on the heavy bag, it transforms our body by distributing energy all over the body, in order to reduce fat. Boxing practice makes muscles strong and enhances the cardio functionality for good health. Strong muscles and fit body give strength to do any work with lots of energy. Daily stress, naturally wards off when we punch the punching bag. It is very effective in forgetting stress very soon and helps to have a calm and cool mind. It increases the confidence in girls and at the same time, it provides a great esteem to do any work. If we talk about confidence enhancement, it is like that when women travel alone she can protect herself. Bottom line: boxing consists of aerobic and anaerobic exercise in 7:3 Ratio, which is very essential for good health. These were some pros of boxing for women but there are many more benefits. Well, this is the time to discuss cons of the practicing on a punching bag. One of the drawbacks of boxing is several contact related injuries like breaking of the nose, dislocation of the arm, cracking of chine and many more. However, short-term injuries can abate in several days or week but long-term injuries are a very big drawback of boxing. Bottom line: apart from injuries, boxing is enormously beneficial for women health. We can reduce the chance of injuries by proper risk management.